Scandinavia--Denmark, Norway, Sweden, Iceland, and Finland--is blessed with five distinct, yet related, cultures. Learn about the stories behind the legends, about the countries, and most of all about the people. "We sailed our ships to any shore that offered the best hope of booty; we feared no fellow on earth..."
Clustered around the head of the 68-mile-long Oslofjord, Oslo is probably the most spacious city in the world. Its 175-square-mile metropolitan area consists of over 75 percent forests and five percent water. Its fine deep harbor, Pipervika, stretches into the heart of the city and from it leave ferries to Denmark and Germany. Hans Christian Andersen is known to young and old alike as one of the world’s best storytellers. In fact, his own story is as good as any of the fairy tales he wrote later in his life. Born in Odense, Denmark, in 1805, he lost his father when he was ten years old and lived alone with his mother who worked as a washer-woman. 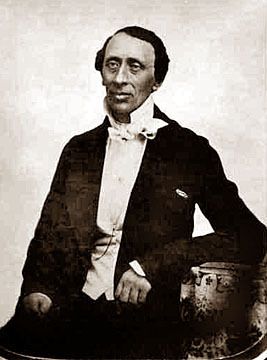 From an early age when his father played with a toy theater for him, Andersen dreamed of going on stage and constantly pestered his mother to let him go the big city, Copenhagen. But she resisted. Other children teased him because of his gawky stature and conspicuously long nose, so she didn’t want him to be hurt by ridicule in the city. But one day a fortune teller predicted that her son would be world famous and that the town of Odense would hold a torchlight parade in his honor, so she let him go. immediately to the theatre and tried to persuade a solo dancer to get him admitted to the ballet. But she shook her head no and closed the door. Undaunted, Andersen didn’t give up. Instead, he turned to the choirmaster at the theatre, Guiseppe Siboni. Siboni promised to train his voice, but shortly thereafter his voice broke, and, thus, ended his carrier as a singer. For a time, he tried to become an actor. He just had to work in the theater. But he failed that, too, so he began to write plays. In fact, Andersen believed himself to be Denmark’s Shakespeare. From his endeavors at play writing, he won a King's scholarship and was sent to school in Slagelse, where he suffered greatly from being older than the other pupils. Throughout his education, he wrote plays. He even tried his hand at writing a fairy tale, but it turned out heavy and stilted. Through this experience, he discovered that the essence of story telling is in the oral language, so he used simple exclamations to make them more attractive to children. He subtitled his first fairy tale booklet "Fairy Tales Told for Children." Note the words "told" — not written. He wrote his tales the way a person would tell them—orally. And though he originally wrote his fairy tales for children, he later wrote them for a wider readership because he didn’t want to be known merely as an author of children's books. In fact, some of his greatest fairy tales–“The Shadow," "The Snow Queen," and "The Nightingale”—are indeed too complex to be understood by young readers. Other authors refer to Andersen as a great magician–a person who has a marvelous way with words. And though he was good at that in all languages, he was best at it in his native Danish. Every year about 95 000 people die in Sweden and, according to the law, everyone must be buried. There must be room for everyone in the cemeteries, therefore the future needs of space have to be predicted. Because of this funerals must be part of the planning process. All news is in English. In the early Middle Ages, driven by famine at home and the promise of wealth to be had in other lands, the Vikings set out from Scandinavia to conquer parts of England, Ireland, France, Russia, and even Turkey. Bolstered by their successes, the Vikings pushed westward, eventually crossing the North Atlantic and founding settlements in Iceland, Greenland, and Newfoundland in Canada. To read more articles by Bob Brooke, visit his Web site. Site contents Copyrighted ©2002-2016, by Bob Brooke Communications.